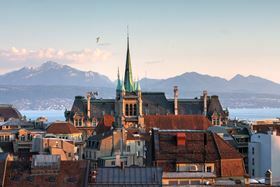 NTPT is relocating its headquarters to Lausanne, Switzerland. Plans include the relocation of its main production plant in Poland, the expansion of its global distribution network, the appointment of senior management figures, and a move to new Swiss headquarters. NTPT develops and produces a wide range of thin ply and conventional prepregs for use in a variety of high-performance composite applications in the marine, motorsports, aerospace, sports and luxury goods markets. The company will be increasing its production capacity during 2016 and relocating its Polish manufacturing facility to larger premises in March in response to rising demand for both its thin ply and conventional prepregs over the past two years. The new 2000 m2 production plant in Zory will also house the company's automated tape laying (ATL) equipment which is used to produce custom multiaxial preforms from its unidirectional (UD) prepreg tapes. The expanded production facilities will also enable the continued development and growth of its portfolio of engineered composite products, which includes machinable carbon fiber blocks and golf club shafts. To support this growth strategy, an expanded distribution network is also being put into place. The company announced the appointment of Bodo M?ller Chemie as its distributor for Spain, France and the Benelux countries in January, and it is now looking for distribution partners for other regions. During the second quarter of 2016, NTPT will also relocate its headquarters and R&D activities to a new site in Renens, Lausanne, which offers improved amenities, and will continue to expand its R&D, sales and production teams during the year. ‘2016 is a year of change for NTPT as we ramp up our prepreg production capacity and extend our sales and marketing channels," said James Austin, NTPT CEO. The company will be discussing the plans at the JEC World 2016 composites exhibition taking place from on 8-10 March in Paris, France, where it will be showcasing a wide range of prepreg materials and accepting a JEC World 2016 Innovation Award for its TPT Quartz thin ply prepreg.